St. Louis first carried Jesus Christ’s Crown of Thorns into the Sainte-Chapelle for the first time in 1238. The Crown of Thorns is not stored at Notre Dame Cathedral. On the First Friday of the month, the Knights of the Holy Sepulchre, guardians of the relic at the Cathedral of Notre Dame, present the Crown of Thorns for adoration at the Cathedral of Notre Dame. On Monday Notre Dame Cathedral was engulfed in flames. The Crown of Thorns was rescued from the burning Cathedral. 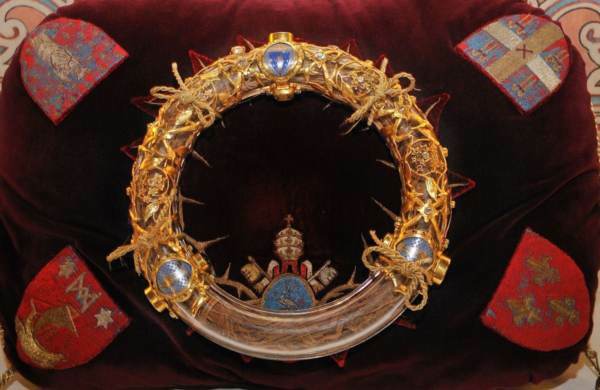 The post Jesus’ Crown of Thorns Rescued from Inferno at Notre Dame Cathedral appeared first on The Gateway Pundit.